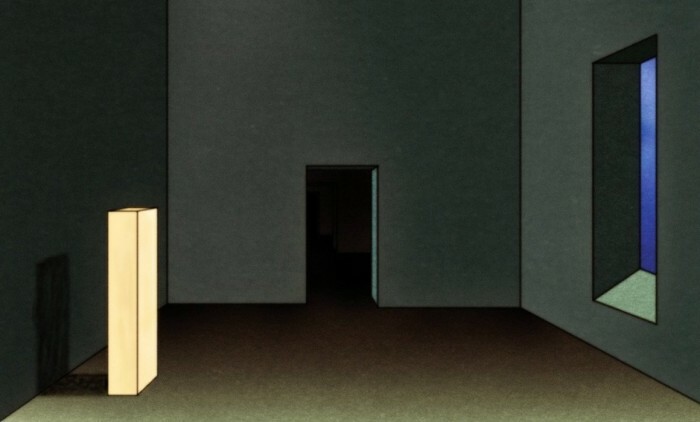 R Plus Seven weaves throwback electronics and advanced futurism to make possibly the most advanced Oneohtrix Point Never album to date. The followup to 2011’s Replica emphasises Daniel Lopatin’s mastery of potential noise to create an intense, almost visual sound. Each track is a haven of uncanny samples, offering the discomfort of vague familiarity offset by textured melodic inserts. There’s no need for electronic music to reference humanity: that often seems to be the point of it, to escape peopleness. But an unsettling subhuman vibe runs throughout this record, revealing itself in scraps of surgically sliced samples thrown into a yawning maw of rumbling depth. What makes R Plus Seven so creepy and poignant is that Lopatin deliberately dips you into humanlike sounds; you’re constantly unsure whether you’re hearing real voices or digital interpretations. Opening track ‘Boring Angel’ features digital choral sounds echoing from inside a huge metal machine, but it is also irrepressibly happy. Touching on an Animal Collective vibe before deconstructing into a more Thomas Newman sound, ‘Americans’ ventures into a vaguely ancient orient, while ‘He She’ dips you head first into a bass lake in an underground cavern. R Plus Seven is undoubtedly a monument in digital sound manipulation, but this can seem alienating at points: the layering on ‘Inside World’ begins to sound experimental towards the end, a bed of blips and beeps dips into vaguely caressing strings, and you find yourself searching to try and catch hold of something. It’s like watching a series of unrelated but equally interesting images: engaging but requiring concentration to follow. But even here, I don’t think Lopatin is unaware of the denseness of ‘Inside World’, because just as you reach the point of becoming weary of the effort, you’re lulled into the computerised groove of ‘Zebra’. 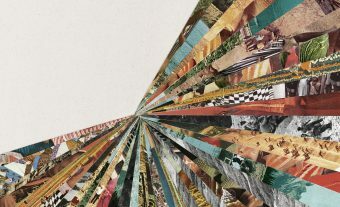 Morphing into a digital choir, this track touches on the profound with its stirring air, and ends almost as a dedication to labelmate Aphex Twin in a densely bit-licked breakdown. Towards the end of the album, ‘Still Life’ is without a doubt the warehouse anthem of the album: a gaping venue is the perfect setting for this resounding track. It builds up to a horror-film crescendo and relieves the tension with soaring vocal-style melodies, falling into ‘Chrome Country’ and introducing church organ sounds to bring the album full circle. Daniel Lopatin successfully balances R Plus Seven on a precarious ridge, between the chasm of rich human feeling and impenetrable binary distance. I feel like it’s a bit lame to throw in a reference to a cheesy sci-fi flick at this point, but there is a legitimate and enlightening reason that R Plus Seven puts me in mind of Leeloo learning about humanity and war in The Fifth Element. This record is humanity as explored by a machine: richly three dimensional and yet clean cut, it’s like a highly advanced computer processing and delivering through sound output the world of human experience and emotion. The machine has been given a quick-fire education in the history of humanity, Leeloo style, and the ensuing output is mingled with inflections that represent emotion. Or maybe its hyperreal and gentle nature could make it the soundtrack to a documentary about earth by an alien planet, or it could be the natural soundscape of a big warehouse filled with a rainforest and a blend of real and metallic creatures. Whatever the scene, the delicacy and precision of this album forges a link between cold machinations and a distinctly warm-bodied theme that I haven’t experienced in electronic music before. Even with such accessible tracks as ‘Polynomial-C’ or ‘Dayvan Cowboy’ by Aphex Twin and Boards of Canada respectively, there is always an obvious distance: they’re far from being human in the weird way that ‘Still Life’ is. A worthy debut on Warp Records, with its status as a bastion of electronic music, R Plus Seven is a landmark album for both Oneohtrix Point Never and electronic music as a genre. Full of carefully constructed digital sound journeys, it verges on being inaccessible, but manages to reveal Labotin as a genius in digital manipulation and human feeling.